The American Hospital Dubai is a 143 bed, acute care, general medical/surgical hospital whose mission is to provide high quality American standard healthcare that will meet the needs and exceed the expectations of the people of Dubai, the UAE and the surrounding Gulf States. 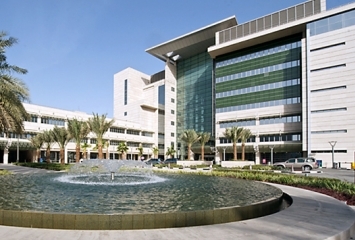 The American Hospital Dubai was therefore planned, designed, built and equipped to meet American Standards of healthcare. We operate to these standards, every day, in everything we do for you. All of our physicians who are credentialed at our hospital are North American Board Certified or of equivalent Western training programs, such as those in United States, Canada and the United Kingdom. We have ensured that we have the expertise to fulfill your medical requirements in comfortable and reassuring surroundings. The hospital is the first in the Middle East to get accredited by the Joint Commission International Accreditation (JCIA) which reassures our continued commitment to the highest quality American Standard of Healthcare in the region. In 2009 the hospital was reaccredited for the fourth time. The hospital’s Medical Laboratory is also accredited and re accredited, last one in 2009 by the College of American Pathologists (CAP), making it the first private laboratory in the Middle East to be accredited by (CAP). The hospital continues to expand its services in primary and secondary care, plus selective tertiary services, to include Centers of Excellence in - Joint Replacement, Heart, Cancer, and Diabetes. Minimum of 3-5 years post American Board certification or Canadian FRCPC or UK FRCS (or equivalent) at a full Consultant Level in area of specialty.